The primary purpose of the MCJROTC Program is Leadership Education. It prepares high school students for responsible leadership roles while making them aware of their rights, responsibilities, and privileges as American citizens. In order to be a good leader, one must first learn to be a good follower. As a cadet gains experience and knowledge, he or she will be given active, hands-on leadership responsibilities within the MCJROTC Program. The Marine Corps JROTC Leadership Education Program emphasizes the development of self-discipline, leadership, honor, integrity, and the value of community service. Citizenship training is emphasized throughout the program and reinforced by using current events and activities occurring in the Charlotte area, in the state of North Carolina, our nation, and the entire world. In addition, students are acquainted with basic military subjects and Marine Corps' traditions, customs and courtesies. The Ardrey Kell High School Marine Corps JROTC Program continues to seek top students who excel both academically and athletically to ensure that the high caliber of leadership is maintained within the program. We strongly feel that the Marine Corps JROTC Program is a complement to the leadership development of honor students and athletes as well as service clubs within the Charlotte Mecklenburg County Public Schools. ​Integrated-curricular activities include drill teams, rifle teams, adventure training teams, athletic competitions, community parades, summer camps and field trips to Service installations and national historical sites. institutions the values of citizenship, service to the United States, personal responsibility and a sense of accomplishment. 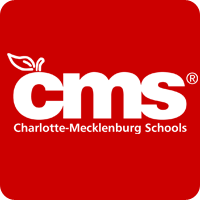 Learn more about the JROTC programs, curriculum, instruction and activities within the Charlotte Mecklenburg School System.